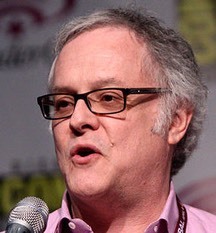 Neal Baer�[photo by Gage Skidmore] is an American paediatrician, television writer and producer, best known for his work on the television shows�ER�and�Law & Order: Special Victims Unit. Baer graduated from Harvard Medical School and completed his internship in Pediatrics at Children’s Hospital Los Angeles. 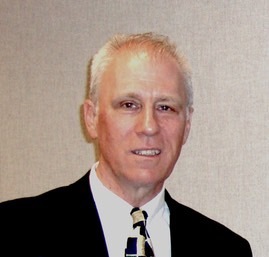 Baer also holds a master’s degree from the Harvard Graduate School of Education.In 2000, he received an honorary Doctor of Laws from Colorado College.He received the Jerry L. Pettis Memorial Scholarship from the American Medical Association as the most outstanding medical student who has contributed to promoting a better understanding of medicine in the media. Baer has written extensively on adolescent health issues, covering such topics as teen pregnancy, AIDS, drug and alcohol abuse, and nutrition.� Baer serves on the boards of many organizations related to health care, including the Venice Family Clinic, RAND Health, Children Now, the Huckleberry Fund of Children’s Hospital Los Angeles, and the National Organization on Fetal Alcohol Syndrome.��Baer is a member of the Board of Associates at the Whitehead Institute for Biomedical Research. He is currently engaged in work to improve the visibility of social determinants of health in media. In 2009, he received the Nicholas E. Davies Memorial Scholar Award from the American College of Physicians, for outstanding humanism in medicine; he has also won the 2013 Hippocrates Open International Prize, one of the highest value awards for a single poem in the world, for original verse that addresses a medical theme. His newest collection of poems,�Alternative Medicine,�was the subject of feature stories on�PBS NewsHour�and the CBC’s�Sunday Edition�radio show. See more information at�www.rafaelcampo.com. 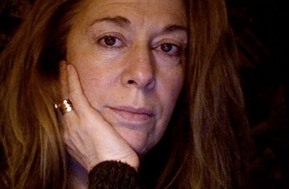 One of the most celebrated poets of the American post-war generation,�Jorie Graham�is the author of numerous collections of poetry, including�Hybrids of Plants and Ghosts�(1980),�Erosion�(1983),�The End of Beauty�(1987),�Region of Unlikeness�(1991),�The Dream of the Unified Field: Selected Poems 1974-1992�(1995) winner of the Pulitzer Prize for poetry,�Never�(2002),�Sea Change�(2008),�Place�(2012),�From the New World�(2015), and�Fast�(2017), among others. Born in New York City, Graham was raised and educated in Italy and France. She attended the Sorbonne in Paris, where she studied philosophy, and New York University, where she pursued filmmaking. While in New York, she began writing and studying poetry, and went on to earn an MFA from the Iowa Writer’s Workshop. 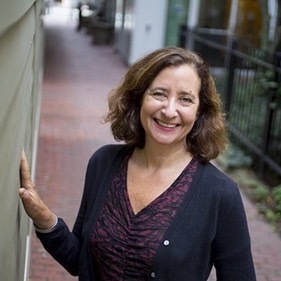 She later taught at the Writers’ Workshop, leaving to join the faculty at Harvard as the Boylston Professor of Rhetoric and Oratory, a position previously held by�Seamus Heaney�and a chair whose occupants date back to John Quincy Adams. She was the first woman to be awarded this position. 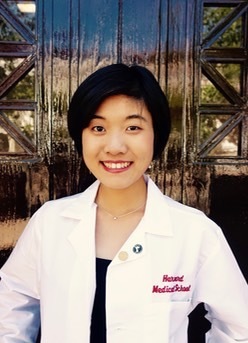 Ryoko Hamaguchi is a first year medical student in the Pathways program at Harvard Medical School. She completed her undergraduate education at Stanford University, where she earned a dual Honors in Biology and Honors in the Interdisciplinary Arts, pursuing research in cardiovascular regenerative medicine while actively developing her lifelong passion for the creative arts. She then went on gain an additional year of research experience at the Center for iPS Cell Research and Application (CiRA) at Kyoto University prior to matriculating at HMS in August 2016. 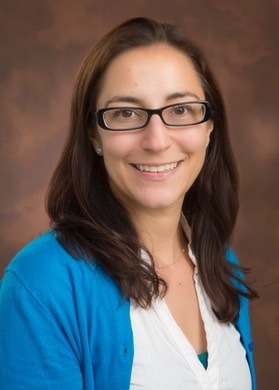 Since beginning her medical education, she has continued to explore a wide repertoire of modalities in the arts, ranging from graphic design to formal scientific illustrations and creative interpretations of the basic sciences. 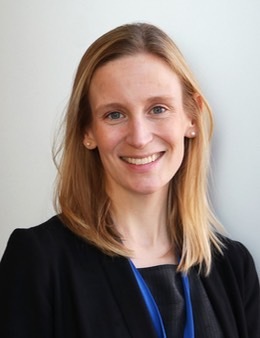 Her core interest, however, lies in harnessing the visual arts in innovative ways to better capture, communicate and humanize the illness experience of patients. 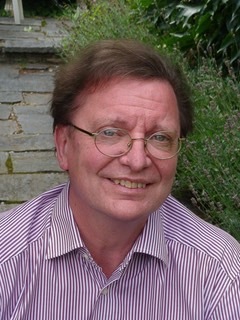 Michael Hulse�has won numerous awards for his poetry, and has translated more than sixty books from the German, among them works by W. G. Sebald, Goethe and Rilke. His collection of poetry, The Secret History (Arc, 2009), and the co-edited anthology The Twentieth Century in Poetry (Ebury, 2011), brought him invitations to read and talk in Mexico, the US, Australia, New Zealand, and several European countries. He is a permanent judge of the G�nter Grass Foundation’s Albatross Prize, a literary award similar to Britain’s Man Booker International. With J. M. Coetzee and Susanna Moore, is an ambassador for Adelaide Writers’ Week. 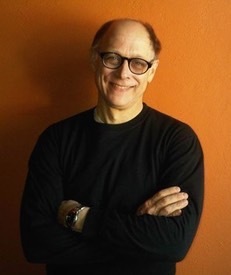 His new book of poems, Half-Life, was published by Arc in August 2013.�With Donald Singer he co-founded the Hippocrates Initiative for Poetry and Medicine in 2009.�The�Hippocrates Initiative�for Poetry and Medicine�– winner of the 2011 Times Higher Education Award for Innovation and Excellence in the Arts – is an interdisciplinary venture that investigates the synergy between�medicine, the arts and health. Jackie Kay�[photo by Mary McCartney] was named Scots Makar—the National Poet for Scotland—in March 2016. She is Chancellor of the University of Salford and Professor of Creative Writing at Newcastle University. 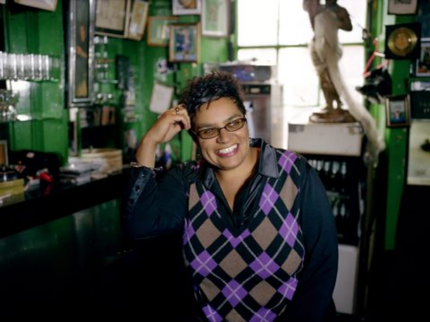 Jackie Kay was born and brought up in Scotland.�The Adoption Papers�(Bloodaxe) won the Forward Prize, a Saltire prize and a Scottish Arts Council Prize.�Fiere, her most recent collection of poems, was shortlisted for the COSTA award. Her novel�Trumpet�won the Guardian Fiction Award and was shortlisted for the IMPAC award.�Red Dust Road�(Picador) won the Scottish Book of the Year Award, and the London Book Award. It was shortlisted for the J R Ackerley Prize. She was awarded an MBE in 2006, and made a fellow of the Royal Society of Literature in 2002. Her book of stories�Wish I Was Here�won the Decibel British Book Award. She also writes for children and her book�Red Cherry Red�(Bloomsbury) won the Clype Award. She has written extensively for stage and television. Her most recent plays�Manchester Lines�(produced by Manchester Library Theatre) and�The New Maw Broon Monologues�(produced by Glasgay) were a great success. Her most recent book is a collection of stories,�Reality, Reality. She is currently working on her new novel,�Bystander. 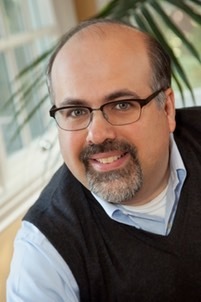 Martin Kohn, PhD is director, Program in Medical Humanities and Associate Professor of Medicine, Cleveland Clinic Lerner College of Medicine of Case Western Reserve University. He co-founded, with Carol Donley, the Center for Literature and Medicine at Hiram College. His poetry has appeared in numerous print and electronic journals. 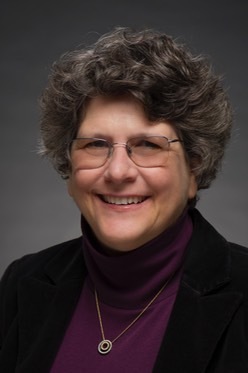 Adrie Kusserow is Professor of Anthropology at St Michael’s College in Vermont where she teaches courses on medical anthropology and refugees. She has done field work in South Sudan with Sudanese refugee girls (AfricaEli.org) and the Lost Boys of Sudan in Vermont. She is currently doing applied research in Darjeeling, West Bengal, India on raising awareness around the trafficking of girls from Himalayan villages to Indian brothels. Her most recent book of poems, REFUGE, was published by BOA EDITIONS, Ltd (New American Poets Series). Owen Lewis, is the author of two collections of poetry,�Marriage Map�(Dos Madres Press, January, 2017) and�Sometimes Full of Daylight�(Dos Madres Press, 2011) and two chapbooks.�Best Man�(Dos Madres Press, 2015) is the recipient of the�2016 Jean Pedrick Chapbook Prize�of the New England Poetry Club. Other prizes include the�2016 International Hippocrates Prize for Poetry and Medicine, second prize in the 2017 Paumanok Award, as well as awards from The Mississippi Review, Connecticut River Review, the Kent and Sussex Poetry Society (UK), the London School of Jewish Studies, and a Pushcart nomination. He is a psychiatrist and professor at Columbia University where he teaches with the narrative medicine group, and an adjunct professor at the Albert Einstein College of Medicine. Susan Nathan, MD is a Geriatrician and Hospice and Palliative Medicine physician at VA Boston Healthcare System and an Instructor in Medicine at Harvard Medical School.� She is the site director for the My Life, My Story narrative life history interview project at VA Boston and is involved in Geri-Palliative education in the VA and greater Boston medical community. 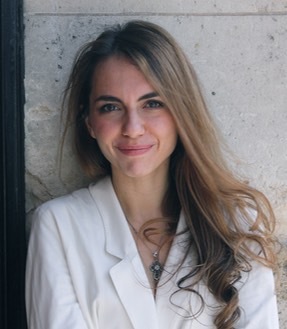 Elisa (Lisa) New is the Creator and Host of Poetry in America, the Director of Verse Video Education, and the Powell M. Cabot Professor of American Literature at Harvard University, where she teaches courses in classic American literature from the Puritans through the present day. Her multi-platform initiative, Poetry in America, has convened conversations with nearly 50,000 participants worldwide and features special guests Bill Clinton, Elena Kagan, Nas, Billy Collins, Herbie Hancock, and more. She is the author of The Regenerate Lyric: Theology and Innovation in American PoetryThe Line’s Eye: Poetic Experience, American Sight (Cambridge University Press, �1992); (Harvard University Press, 1999);� Jacob’s Cane: A Jewish Family’s Journey from the Four Lands of Lithuania to the Ports of London and Baltimore: A Memoir in Five GenerationsNew England Beyond Criticism: In Defense of America’s First Literature (Basic Books, 2009); and ,�How to Read American PoetryA Wiley Blackwell Manifesto (Wiley Blackwell 2014). Her current book project is , a companion text to the various projects embraced by the multi-platform Poetry in America initiative, to be published by Wiley Blackwell. 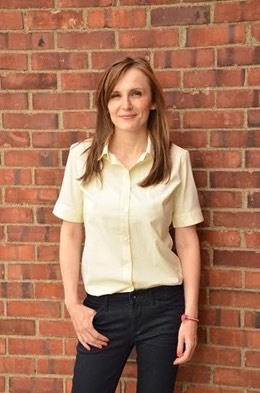 Maya Catherine Popa�is a writer and teacher in NYC. A 2015 Ruth Lilly finalist, she is the recipient of the Poetry Foundation Editor’s Prize for review. Her poetry appears in Tin House, Kenyon Review, Poetry London, and elsewhere. Her criticism and non-fiction appear widely, including in Poetry, Poets & Writers Magazine, PN Review, and The Huffington Post. Her chapbook, “The Bees Have Been Canceled,” is forthcoming from DIAGRAM New Michigan Press in the U.S., and Southword Editions in Ireland, in winter 2017. 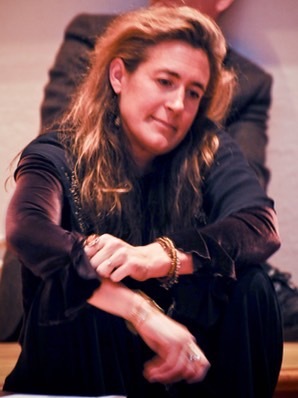 Her awards include the�Hippocrates Poetry Prize, 2nd place in the Magma Poetry Prize, 3rd Place in the Narrative N30B Prize, the Gregory O’Donoghue Competition, Parallel Universe Competition, and the Oxford Poetry Society Martin Starkie Prize. She holds an MFA from NYU and an Mst in Writing from Oxford University, where she was a Clarendon Scholar. She teaches at the Nightingale-Bamford school in New York City. Bonnie Salomon is an emergency physician with Northwestern Medicine. After graduating from Harvard, she pursued her medical career in her native Chicago, including fellowship training in Medical Ethics. Her poetry and essays have appeared in numerous publications, including Annals of Internal Medicine, The Lancet, and the Chicago Tribune. 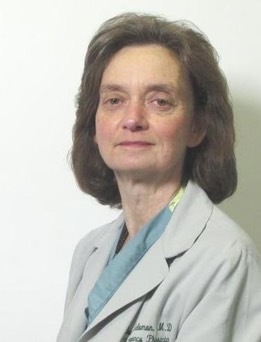 Audrey Shafer, MD is Professor of Anesthesiology, Perioperative and Pain Medicine, Stanford University School of Medicine / Veterans Affairs Palo Alto Health Care System; Director, Stanford Medicine & the Muse Program, Stanford Center for Biomedical Ethics; co-director, Biomedical Ethics and Medical Humanities Scholarly Concentration; and co-founder of Pegasus Physician Writers. Her courses include Creative Writing for Medical Students and Medical Humanities and the Arts. She is the author of The Mailbox, a children’s novel on posttraumatic stress disorder in veterans. Her poetry on anesthesia, health humanities and family life has been published in journals and anthologies. 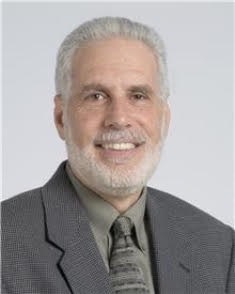 Donald Singer�is a clinical pharmacologist who has published over 170 articles, chapters and books on cardiovascular research, prevention and treatment, and public understanding of health. He co-authors Pocket Prescriber, the 8th edition of which was published by Taylor & Francis in 2015. 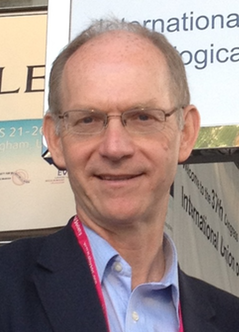 He is President of the Fellowship of Postgraduate Medicine and chairs the advisory board of the FPM’s journal Health Policy and Technology. He is also on the Executive Committee of the European Association of Clinical Pharmacology and Therapeutics, which supports scientific and educational exchange for over 4000 clinical pharmacologists from 34 European and other countries. With Michael Hulse he co-founded the Hippocrates Initiative for Poetry and Medicine in 2009.�The�Hippocrates Initiative�for Poetry and Medicine�– winner of the 2011 Times Higher Education Award for Innovation and Excellence in the Arts – is an interdisciplinary venture that investigates the synergy between�medicine, the arts and health. Robert Weatherford�is a second-year medical student at Harvard Medical School. As an undergraduate, Robert became bewitched by the power of language and pursued humanistic studies to help him answer the existential questions facing him at the time, ultimately graduating with a double major in English and Spanish. Inspired by his job facilitating women’s healthcare in a primary care clinic a couple of years after graduating, he decided to pursue premedical studies and eventually found his way to medical school. He intends to train as an obstetrician-gynecologist in residency after finishing medical school. Though grateful every day that he stumbled upon the fascinating vocation of medicine, his idea for a dream Friday evening after a long week on the wards is still curling up with something written by or about Shakespeare before retiring to sleep, perchance to dream.